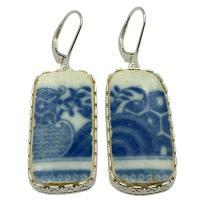 British Pottery Artifact in silver earrings, (1775 - 1815) Eastern Caribbean Sea Shipwreck. 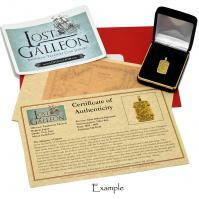 Japanese Shogun Isshu-Gin 1853-1865, in 14k gold earrings. 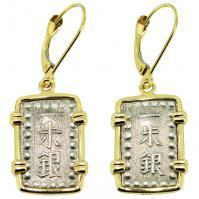 Japanese Shogun Isshu-Gin 1853-1865, in 14k white gold earrings. 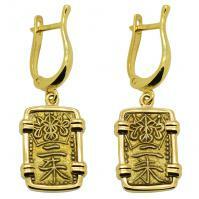 Japanese Shogun 1832-1858, gold Nishu-Kin in 14k gold earrings.